Puma has been announced as the new kit partner for Arsenal, ousting Nike after two decades of sponsoring the team. The deal is reportedly valued at more than £30 million a year and Arsenal said it is the "biggest deal" in both its and Puma's history. The deal will come into effect from 1 July and will see Puma gain wide-ranging licensing rights to develop other Arsenal branded merchandise on a global basis. Arsenal and Puma will work together on a global strategy to drive growth across all football markets through Puma’s global sales network, international tours, integrated marketing activity and Arsenal’s global fan-base. Puma chief executive Bjoern Gulden admitted that Arsenal had been a "key strategic target" for the brand for a number of years. The club now represents a major commercial and marketing opportunity to reinforce Puma’s credibility as a global sports brand, he added. Ivan Gazidis, Arsenal chief executive, said: "We are excited to be partnering with Puma, a company whose football heritage and record of innovation have a strong affinity with our own. 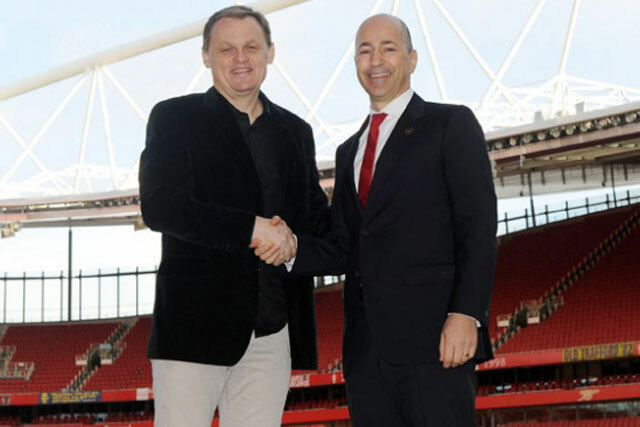 This represents another important step forward in Arsenal's progression on and off the pitch." Puma said it is determined to become the number three football brand. In August last year it used Thierry Henry to launch a virtual football community, the Puma Football Club.